It takes 100 years for an idea to go from inception to general acceptance. When I first read this I thought it alarming. Cantor invented (or discovered?) Set Theory around 1870. Modern math started getting taught in American schools in 1960. One of the new contents was Set Theory. So a little under 100 years. Added later: Prof. Mathai Joseph pointed out that strictly speaking one could push the discovery of Calculus to two centuries earlier in Kerala-India. The notations used then are however hard (for me) to make out. Al-Khwarizmi described 'Hindu numerals' in 825 AD. Thats about ½ a millenium of the Europeans knowing of 'Arabic' numerals and sticking to Roman. If we count strictly as time it is more than a millennium, counting the first known occurrence in India around 500 AD. I consider this mode of reckoning however as not germane to our inquiry. His book in Arabic was called On calculation with Hindu numerals. The world now — starting with the wikipedia page above — calls them Arabic numerals. Arabic is a right-to-left (r2l) language in which units before tens before hundreds imples units-tens-hundreds must come in r2l order. The Europeans copied the r2l order without seeing that it was wrong for their default order. And the 'Hindus' re-imported it back keeping the wrong order! In 1601 Capt. James Lancaster placed the crew of one of his four ships on a regimen of three teaspoons of lemon juice a day. By the half way point almost half the men of the three ships had died of scurvy whereas not a single one of the lemon supplied ship had died. One would think that lemons as a cure/preventive for scurvy would get adopted?? And 48 years later — 1795 — the British navy enacted new guidelines requiring citrus and scurvy was eradicated from the British fleet. The British board of trade adopted this for the merchant fleet in 1865 — ie 70 years later. 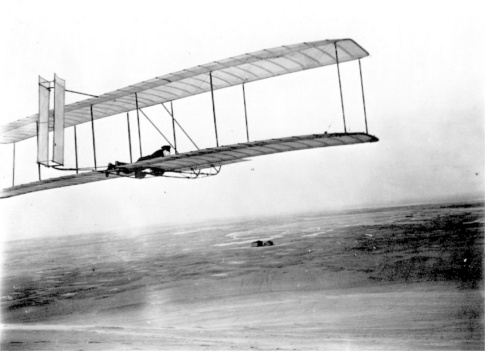 The Wright brothers flew in 1903. The Douglas DC-3 ushered in commercial air travel in 1935. Five components needed to come together synergistically for that to happen. Thats 150 years from the beginnings of a revolution to its closure. Note 1: Copernicus' book gave the word after which came the French and American revolutions — of a rather more violent nature. 2 millennia ago a certain person who was causing 'law-and-order trouble' to the ruling Romans was chastised at first for his misguidedness and finally given capital punishment – a relatively common practice of that time. 200 years later he had a few thousand followers. A millennium later his teaching — Christianity — became the dominant religion. No, this is not about the status and stature of Jesus Christ, but about a more incontrovertible conclusion: Before writing someone off as a sick visionary, do consider waiting for a thousand years. lived from 1685 to 1750. In his time he was regarded as an excellent organist. Not too many people took his music seriously; he was regarded more as a 'musical mathematician': . In 1823 by chance Mendelsson discovered his St. Matthew Passion and from there many of his other compositions. This led to the Bach Gesellschaft being constituted in 1851, which finished publishing all of Bach (that was not lost as waste paper) in 1900. Where between then and now : "greatest musician of all time" became the generally accepted position regarding the stature of Bach, I cannot say. Putting it at 1900 gives the figure of 150 years. was regarded as a capable musician… when he was a performing musician. Galileo disproved his claims around 1589 AD by dropping two balls from the Leaning tower of Pisa. That's TWO MILLENNIA of the world preferring proof by authority over proof by experiment! Einstein used Riemann's version for general relativity 1910 and laid to rest Kant's claim : 150 years. When a philosopher says something that is true then it is trivial. When he says something that is not trivial then it is false. What about alternative parallel architectures? Were these yet considered 'parallel'? How would the parallel computing scene looked if one asked around 1994-5? By the 80s what is called the Winter of AI had set in in which research funding mostly stopped. I guess some of my readers may have heard of google? Fact of the matter is that google uses AI everywhere and Lisp nowhere! Not only that it does it all in – gasp – C++!! For an individual to persist in error for over a 100 years somehow does not make much sense... we can say 'for his whole life', thats about it. Yet the human race habitually persists in error for centuries and often millennia. This is from memory. If someone can find and tell me the exact quote I will be much obliged!